An upstairs/downstairs history of the British royal court, from the Middle Ages to the reign of Queen Elizabeth II. A masterful and witty social history of five centuries of royal life, Behind the Throne offers a grand tour of England's grandest households. Behind the Throne is an enjoyable journey through history. Naturally, for any history buff, the major timeline events will already be familiar, but I love the way this book portrays them in a different light, from another point of view. 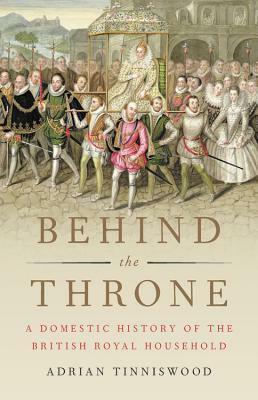 With plenty of anecdotes and 'behind the scenes' action, Behind the Throne is a fascinating review of monarchy through the eyes of those who serve, rather than those who reign. All in all, it is a book sure to appeal to both scholars and general history fans--well written, well researched, and great fun to peruse.